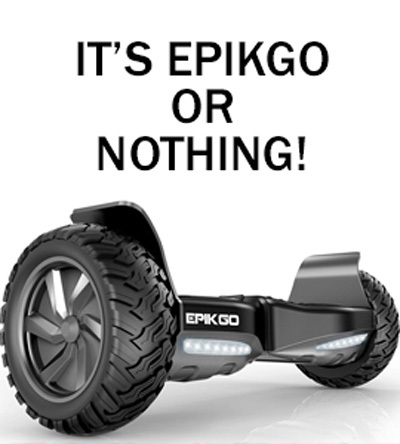 Hoverboard Fails – The epic hilarious videos on YouTube and more! Hoverboard fails have been racking up YouTube views in millions. They started off with regular people falling while trying the hoverboard, and then the celebrities joined the ranks. The most famous one is of the mighty Mike Tyson falling off his daughter’s hoverboard. Now there are compilations of hoverboard falls and fails of first timers, random people and celebrities, and they are becoming the rage. It seems that if you have caught yourself falling off a hoverboard, you can become a YouTube celebrity overnight. Some of the funniest hoverboard fails were captured in the ‘Hover Board Epic Fails and more’ YouTube video which has over 2 million views. This video titled ‘Little Granny Lightsaber! HOVERBOARD Family Fails & Falls!’, showing a family trying out hoverboards for the first time, has only one person falling off a hoverboard, yet it has got over five and half million views. And frankly it does get a smile on your face when you watch it. This one’s called 'Funniest Hoverboard FAILS' and starts with a girl falling upside down on to a Christmas tree. This is of course the Alladin who went viral on his hoverboard. Mo Khan’s vine video showing him gliding on his magic carpet hoverboard made him an overnight internet sensation.